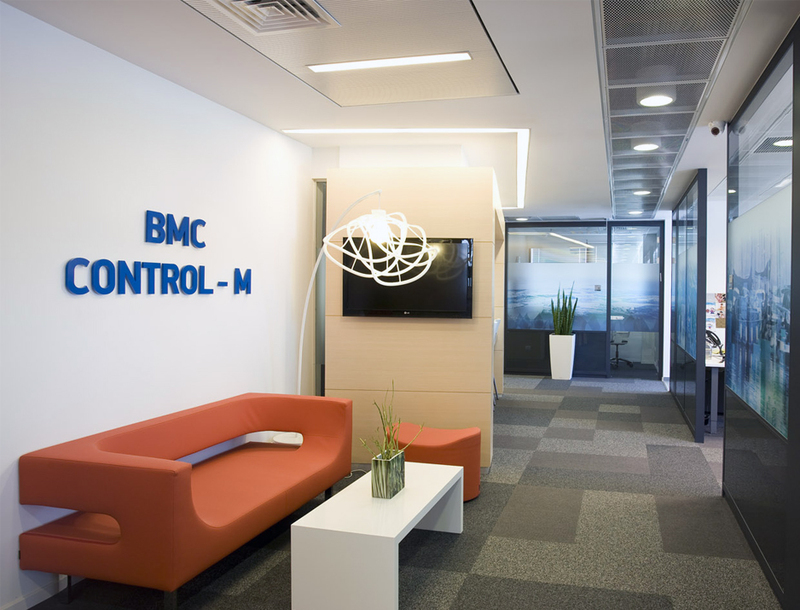 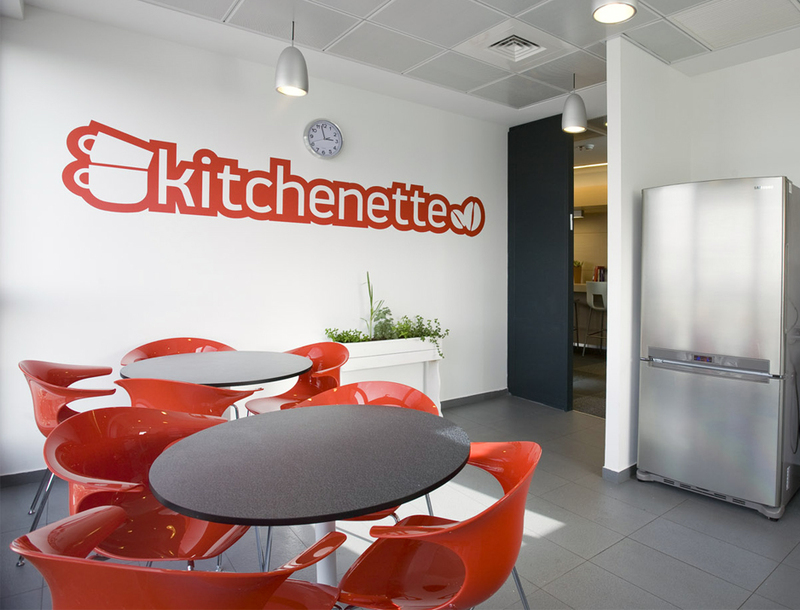 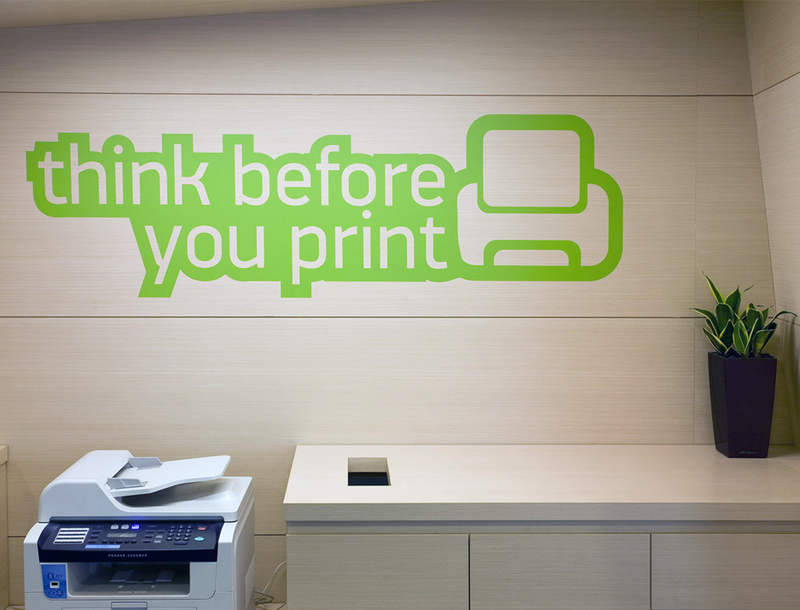 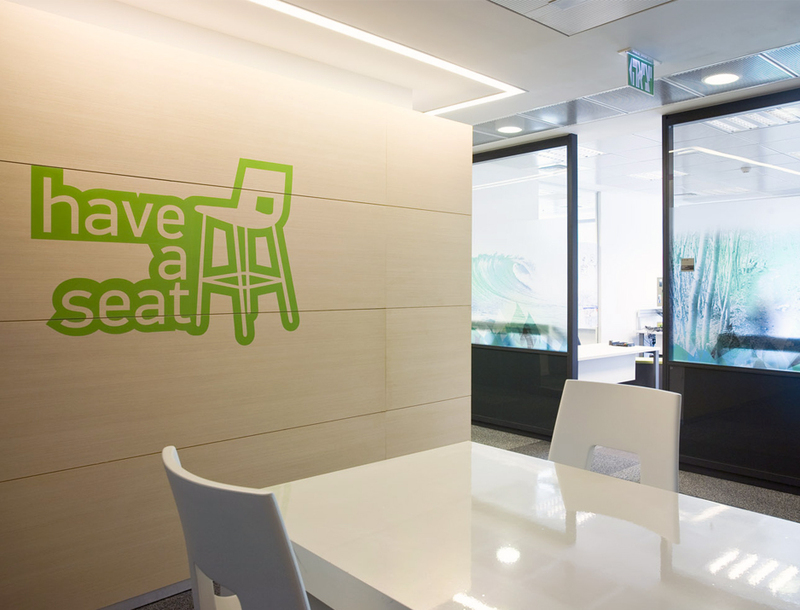 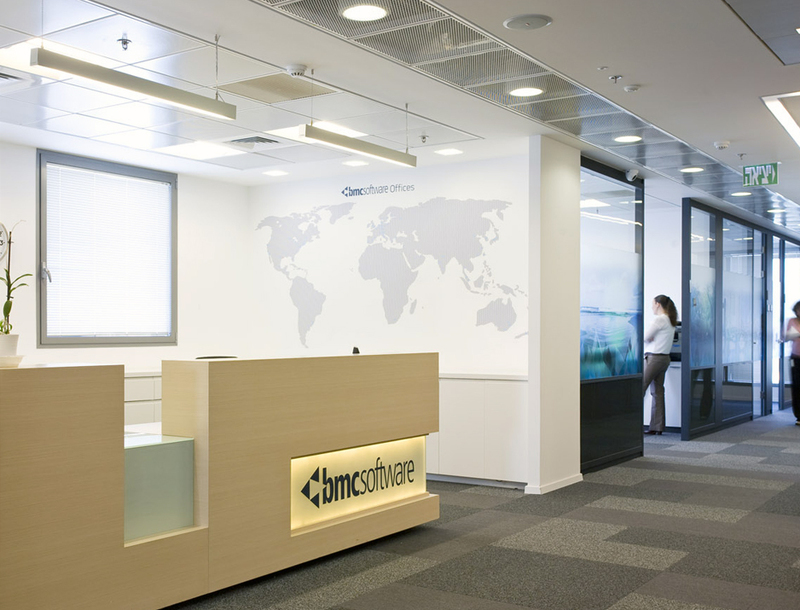 At BMC the office space was leveraged for personal expression of the team . 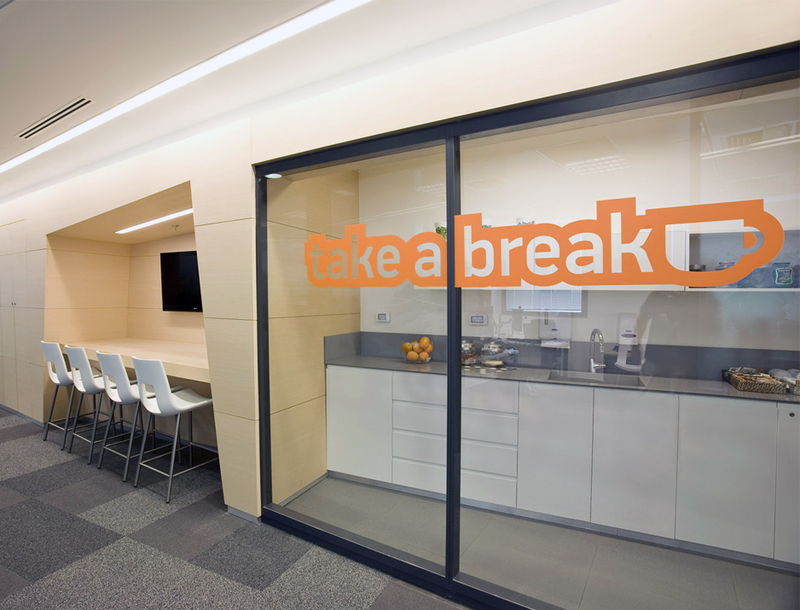 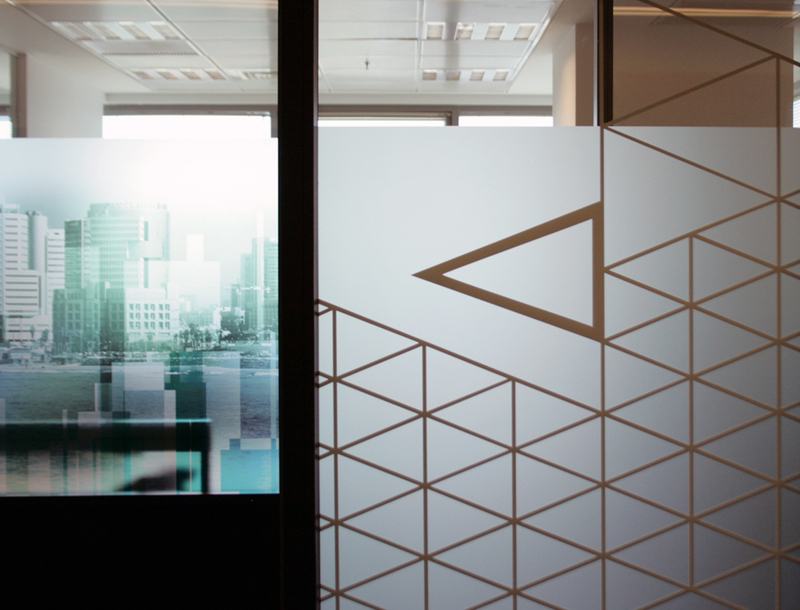 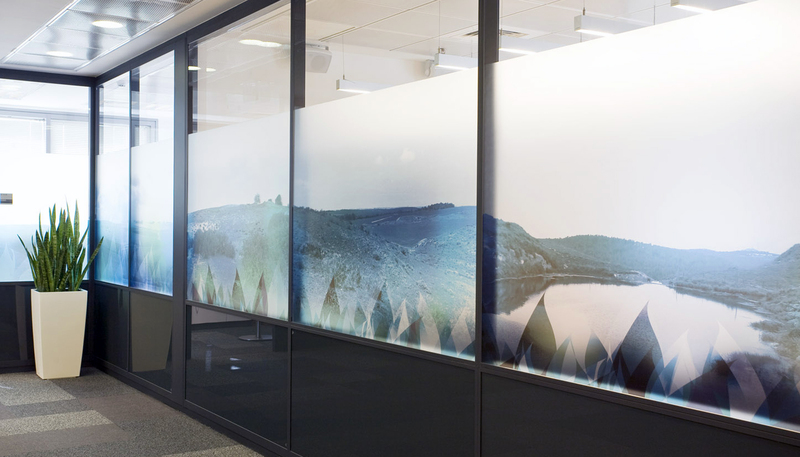 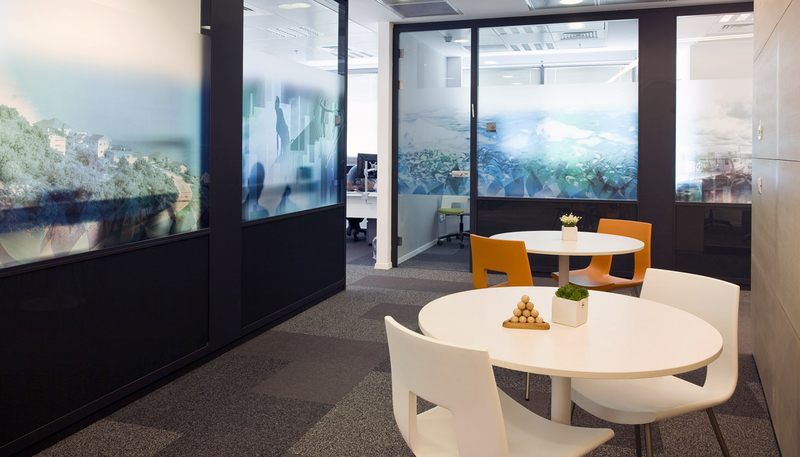 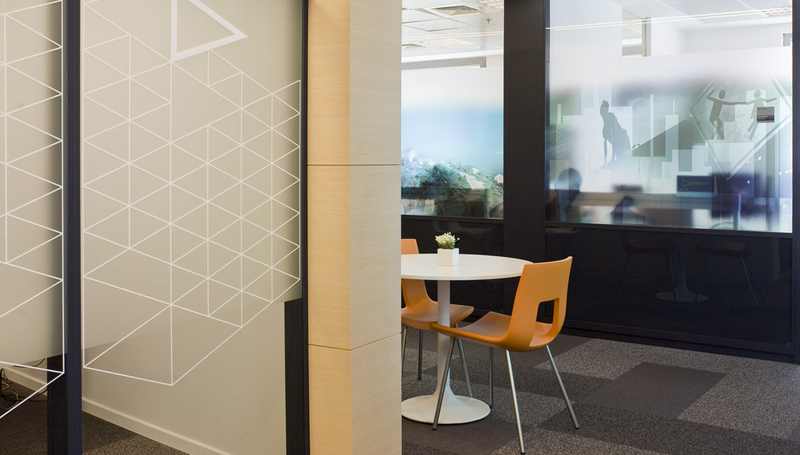 The glass partitions were covered with photographic works of the team with a combination of graphic motifs . 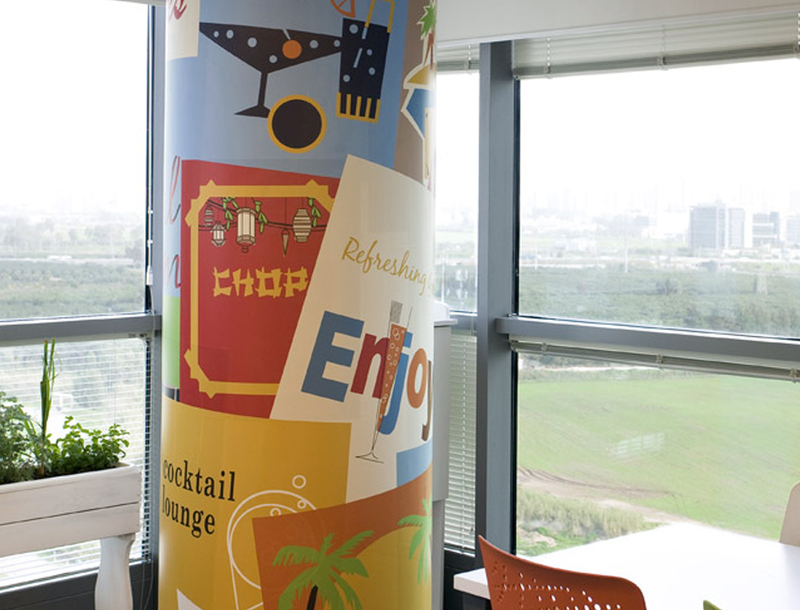 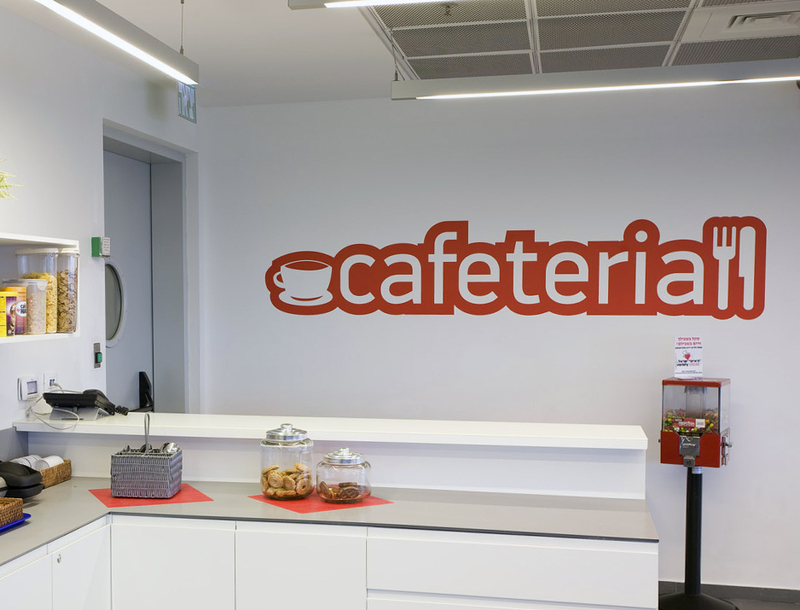 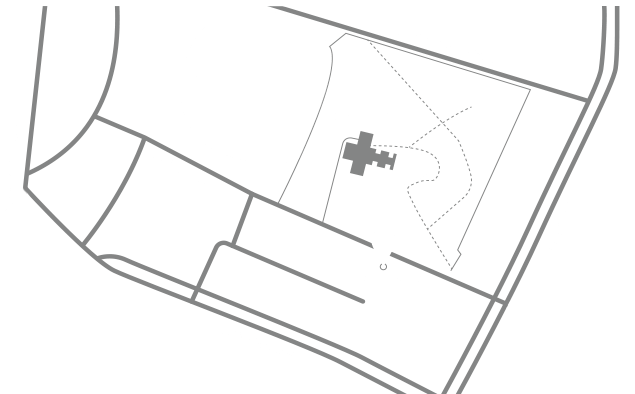 The design goal was to broadcast a pleasant atmosphere and colorful environment for the employees and company’s visitors.